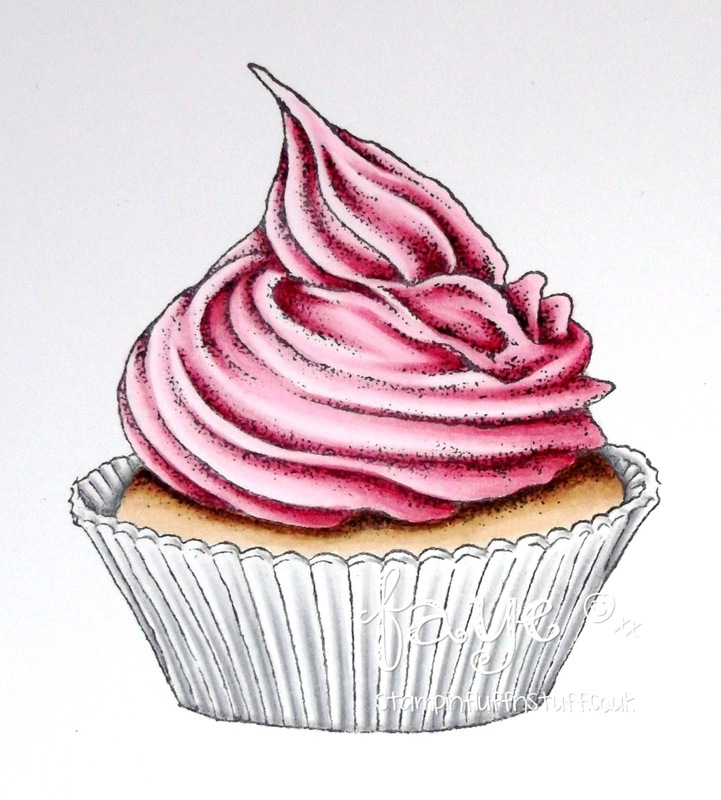 Today, I'm sharing a rather lovely Cupcake with you. Yes, you read that right! I am sharing my cake! This image is one of the latest releases from Doveart Studios. I love these images. When you stamp them, they have markings on to show where the shadow should be. Perfect, if you're like me, and have Absolutely. No. Flamin'. Idea!! Oh wow Faye, that icing looks so real, I could just dip my finger in it... no no must have breakfast first. Somehow I don't think so.. Hehehee..
Another fabulous creation from you hun! This is fabulous faye and your expert colouring makes it look good enough to eat!! Who are you trying to kid!! This is your Muver your speaking to. AHmazing coloring Faye girl! OMGosh. I love it ! Looks so real I could almost grab it and take a big bite !!!! Yummy image and yummy colours too! Good job I've just had my breakfast or I'd be craving cake....nope, still craving cake now! 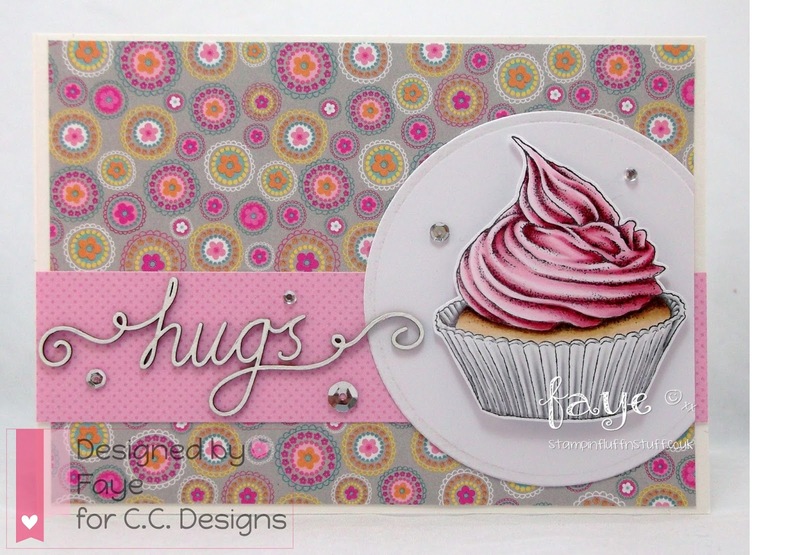 Fabulous CAS design and I am so going to need some of those chipboard words! Yummy scrummy - looks good enough to eat. Thanks for joining us at In The Pink.